The Airport is currently closed but . 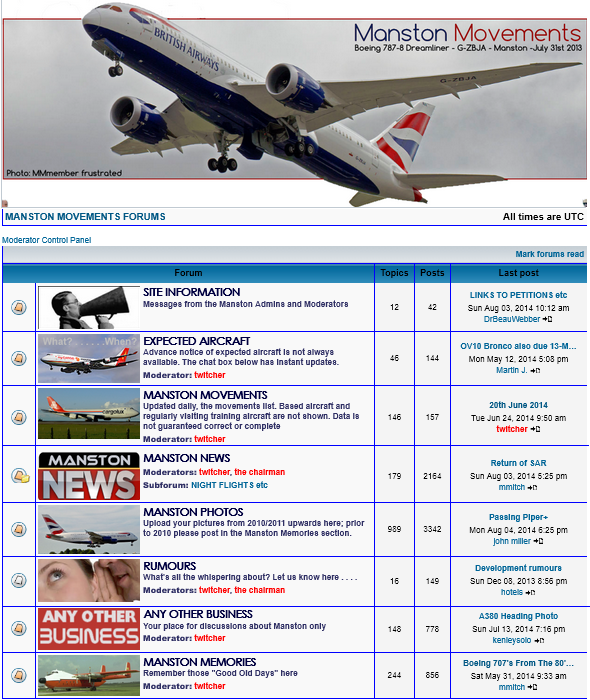 . .
the fight to re-open Manston Airport is on. It was closed earlier this year despite promises made by its current owner that it would remain open for two years. An American company has agreed to buy the airport and has agreed to stand the costs of a compulsory purchase order which Thanet District Council is currently investigating. This could take a while and in the meantime the present owner is systematically selling off the airports infrastructure. Manston Airport is easy to reach by car. The entrance to the passenger terminal is on the B2050 one mile from Manston village and two miles west of Ramsgate on the Isle of Thanet in north-east Kent. Journey time from London approx 1.5 hours. FOR PASSENGERS: Parking rates are some of the lowest of any airport in the South East. The car park is fenced, right outside the terminal and 24 hour security is provided. TRAINS: Southeastern operate hourly High-Speed services to/from London, the journey time is approximately one hour 16 minutes. In addition, Southeastern operates regular services to Ramsgate from London Victoria or London Charring Cross, with a journey time of approximately 2 hours. BUSES: Stagecoach Bus run a regular service between the airport and Ramsgate, Broadstairs and Birchington, the service numbers are 38 & 38A. HOTELS: The Holiday Inn Express, Minster (01843 820250) is very close to the airport and just 5 minutes away by car from the terminal building. Manston Airport (IATA: MSE, ICAO: EGMH), is currently branded as Manston, Kent's International Airport and is located 11 NM (20 km; 13 mi) north-east of Canterbury. Manston is an ex RAF airfield, the single runway is located about 1 mile (1.6 km) from the coast and is 178 ft (54 m) above sea level and is 9,016 ft (2,748 m) long.